What is Make A Pledge, Make A Difference? Who is taking part already? Let us know that you'll be joining in! 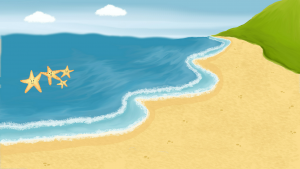 We don’t often blow our own trumpet, but we love The Starfish Story imagery! If you do too, then download our screensaver and email footer to show that you’re getting involved in raising funds for the Family Holiday Association. Immerse yourself and feel at home at the beach with our starfish friends. Download the screensaver/desktop background and smile at how you’re making a difference. Want to inspire others? Download our email footer, link the url to our Make a Pledge page and shout about how you’re supporting us.